Guest WiFi is an integral part of any large public venue. It is especially suited to the large influx and outflux of huge crowds of people moving through airports each day, which means guest WiFi for airports can be fully utilized. In such a scenario, you cannot afford to waste a business opportunity by letting all the customer data go by uncollected. Guest WiFi isn’t just useful for the flyers. It’s a great tool for the on-ground staff. After customers sign into the guest WiFi captive portal with their social IDs, they can input their airline and ticket number. These customers can be notified of special offers from their airlines. This also helps the airport collect data on passenger traffic numbers, passenger volumes for an airline, and identify underserved or underutilized spaces at the airport. Besides this, the guest WiFi can collect data from flyers’ social profile. The data collected will pass through customer approval. Flyers can check flight status and timings after entering their flight information. They can also purchase food items and other services for their flight while they wait to board. Flyers can be sent personalized messages over WiFi about flight delays, boarding announcements, and other important information. This is incredibly useful in silent airports, as each flyer receives messages privately. It is also useful for flyers who want to go shopping, but they’re not sure whether they have the time. Pushing a boarding announcement to individual devices gives flyers enough time to work their schedule out appropriately. 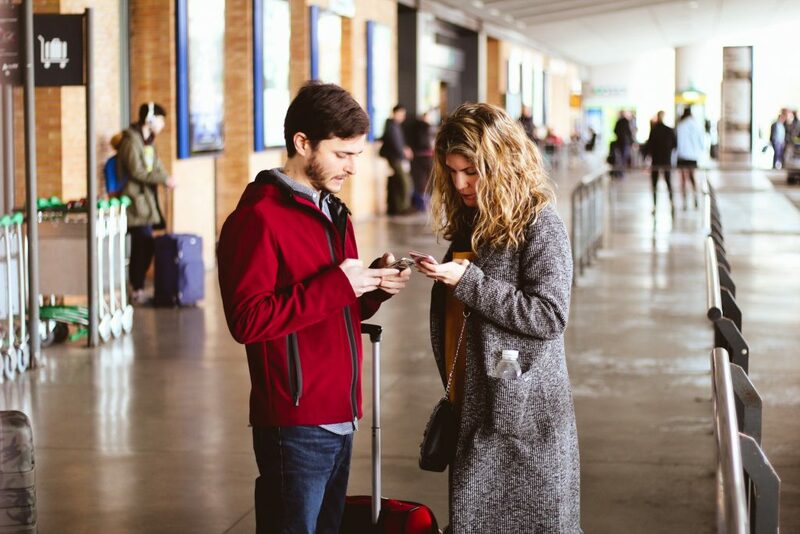 Businesses operating within the airport can leverage guest WiFi by sending offers to customers, based on previous purchases and other preferences. The relevance of these messages can push upsells and cross-sell on items such as chocolates, perfumes etc. A simple reward system can be put in place for flyers: Flyers simply enter their ticket number each time they log in to the guest WiFi. Once a flyer reaches a designated number of logins, for example, 10 ticket number sign-ins, then that flyer will receive an offer or promotion that is of value to them. This is just scratching the surface of the true potential of guest WiFi. To truly harness the power of data collected over guest WiFi, use a guest WiFi solution. Speak with our team to learn more.